Over the course of Oct. 26, Amazon's stock price rose dramatically. In the morning, it was valued at $972 a share, and by the end of the day, it had skyrocketed to just over $1,100. This soar in price—more than 7 percent in after-hours trading—was no coincidence. Earlier in the day, Amazon released its third quarter financial results (not including Whole Foods’ massive profits), which far exceeded expectations. The company grew its revenue 29 percent year-over-year—and that was just the beginning of the good news. Since then, Amazon has announced that it employs more than half a million people, Morgan Stanley has predicted that it'll be a $1 trillion company within a year, and the company has just launched two home furnishings brands. How does this have an impact on homeownership? Most important is the company's now unshakeable influence on U.S. homeownership. Amazon made waves in August when it set its sights on grocery and food-delivery by purchasing Whole Foods for an eyebrow-raising $13.4 billion. Amazon is anything if not innovative. The company announced it is opening pop-up stores in Whole Foods across the country. It's already selling "farm fresh" Kindles, Echos, Fire TVs and tablets in 100 Whole Foods locations. Now, with CEO Jeff Bezos tackling the home furnishings industry, the company has launched not one, but two "private label furniture collections": Rivet and Stone & Beam. These exclusive brands encompass furniture, decor, lighting and rugs, according to a release from Amazon. And with a massive segment of the population—millennials—currently entering the housing market, the effect this will have on the IKEAs of the world has to be taken into account. Those in the 19-39 age group are active consumers and are an incredibly important demographic for IKEA, the world's largest furniture store, so much so that this July they announced plans for a millennial-focused furniture line. Furniture has quickly become one of the fastest-growing retail categories for Amazon, says a spokesperson for the company, "and we're excited to continue innovating on behalf of customers as well as expanding our selection of products and offer customers Rivet and Stone & Beam." Luckily for IKEA, many people still enjoy going to brick and mortar furniture stores and seeing the end table they're interested in buying. 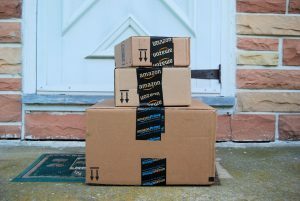 So despite offering free 30-day returns and free shipping on all orders, including sofas, the extent to which Amazon will disrupt the furniture industry will likely be contained—for now. The online site has much more going on than just these two furniture brands and the industry that it'll jump head-first into next is anyone's guess; however, the company clearly has the everyday homeowner set in its sights, so the launch of a clothing or beauty brand wouldn't be far off the mark. Right now, though, Amazon execs have many other things to juggle, like finding the right location for a second headquarters.